Okay, I admit my plan for the Valentine Project was not very well executed. Between finances and time, the projects were not finished before Valentine’s day and they were definitely not given away. However, I did recently find a job which will help fund my addiction. I plan on finishing the tutorial as soon as I get my first check. There are lots of exciting things coming up at my local needlework store that I will be sure to post every Saturday. For now, what you need to know is that next Saturday, March 1st, Embroidery Central will be holding a ruffles class. I am not sure of the time or cost but their information is on the DD page if you would like to contact them for the info. I am sorry to say that Florence’s Attic has closed so I will be removing their information. I was able to get a few needlepoint canvases and a couple of pieces of fabric. I was only able to shop there two times and I will miss them. I know some of you will say that losing a craft store is no big deal. 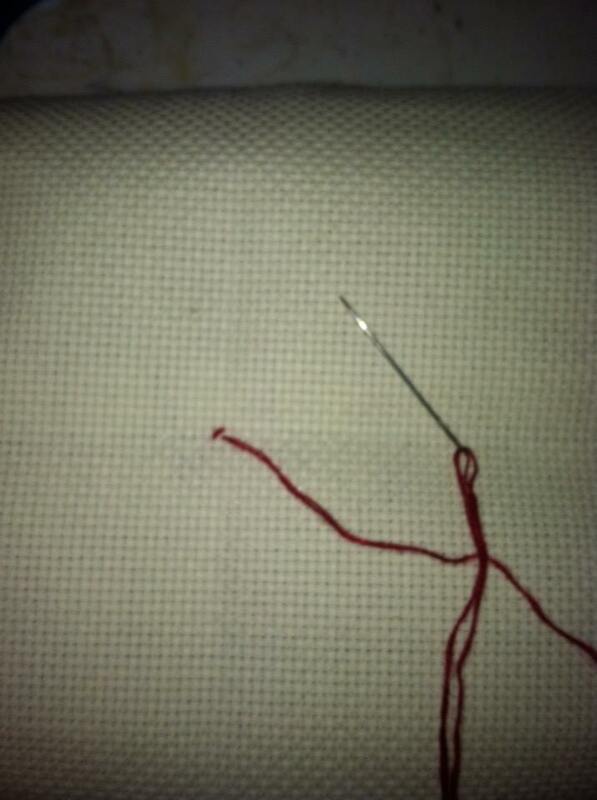 However, to those of us who stitch, a store is more then just a store. It is a place of camaraderie, learning, and exploration that you just can not get on the internet. I am a member of several groups on Facebook and enjoy every minute of what I am involved with there but face time with follow stitchers is totally different. A store allows you touch and see all of the materials you will be working with without waiting for it to be shipped. Anyway, I will miss Florence’s Attic just like I have missed two other stores that have closed that I use to frequent. Remember to support your local needlework stores and happy stitching! I added a Connect page that will allow you to find us on Facebook and Twitter. I also added some more dealers and designers to the DD’s page. Our email address is also on the Connect page so you can brag about your local needlework store, favorite magazines, or favorite designers. Also, if you have a piece or project that you want to show off, send me a picture with the story behind it, include the designer, and I will post it. I updated the theme for The Daedal Needle last night. I loved the old theme but I wanted to add a page that listed credible dealers and designers. By credible, I mean they follow copy right laws when distributing or selling patterns. With the old theme, I added and published this page but it never showed up. I quickly realized that the problem might have something to do with the theme. I was going to wait to change it till today. However, I was on WordPress last night to work on my other blogs and figured what the hay, let’s change it right now. Ta-Da! Plus, the new theme sort of matches the fabric room at EC which I will be writing about this month. I am so stoked! Anyway, as you can see there is a new page called DD’s. It does not stand for cup sizes on a bra, hopefully, it made you smile. It does stand for Dealers and Designers and right now it only has two. I will add more as stitching fans around the world write in to beg for their favorite store or designer to be added. All you have to do is email me at rayvenire@gmail.com with a name, a link, and any other pertinent information. I will check each dealer out personally to ensure that the level of professionalism, courtesy, and respect towards designers and customers is there. 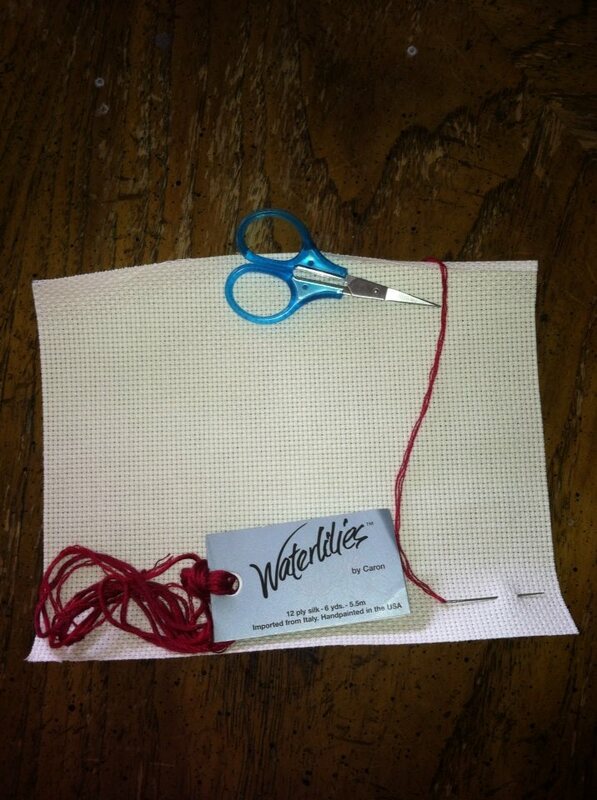 Enjoy the new page and happy stitching! 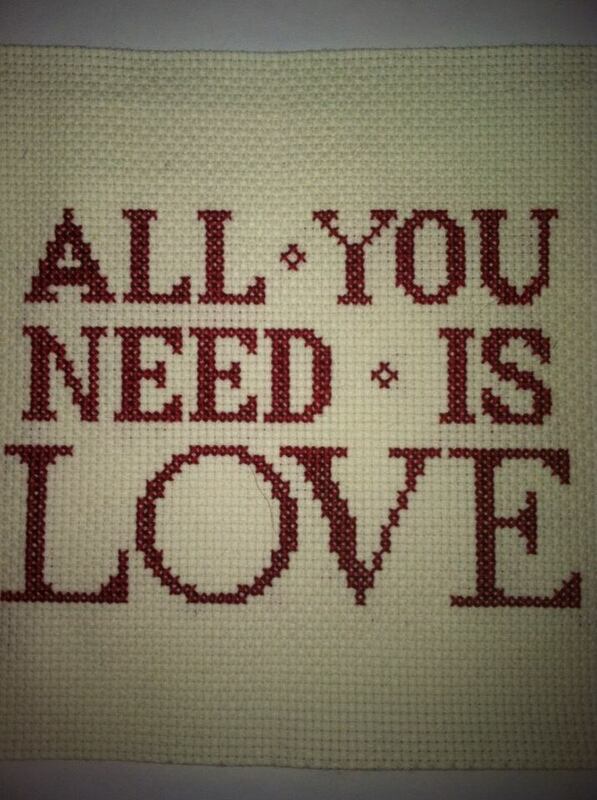 I will continue on with the Valentine project after a few short messages from Embroidery Central. First, EC will be holding their 2nd all day Valentine Sit N Stitch on Feb. 12th from 10 am to 8 pm. 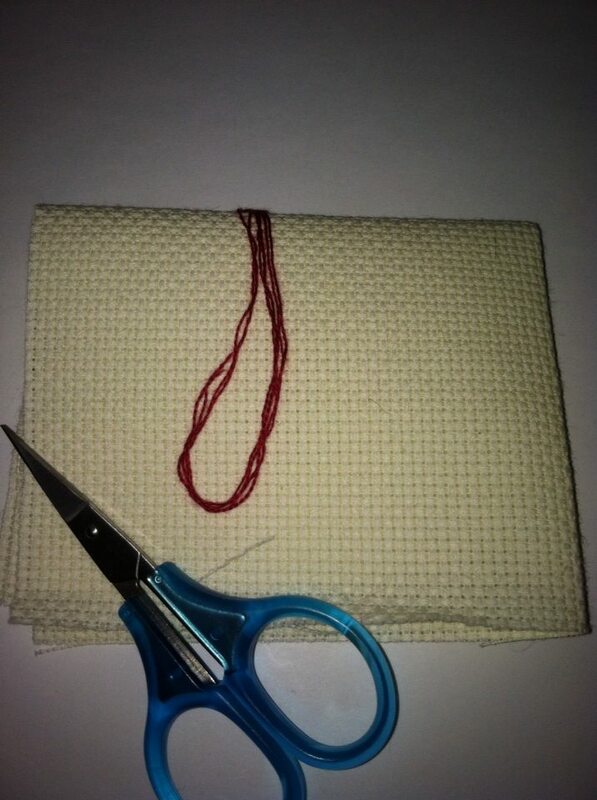 The projects are small pillow kits that contain everything needed to finish them. The cost is $25. Second, EC will hold their Children Classes every Thursday from 4:30 to 5:30 pm and cost $10 per month. This is a great opportunity to share your love of stitching and its community with any child who might be interested. Third, Bobbin lace classes were not moved to Wed. but will be from 12:00 to 2:00pm every 2nd and 4th Saturday of the month. Each class is $10. Fourth, Hardanger classes will also be every 2nd and 4th Saturday starting at 1 pm and going to 2 pm. Each class is $10. I hope I haven’t missed anything, I will keep you updated as things change or are added. Back to our regularly scheduled tutorial. 2. 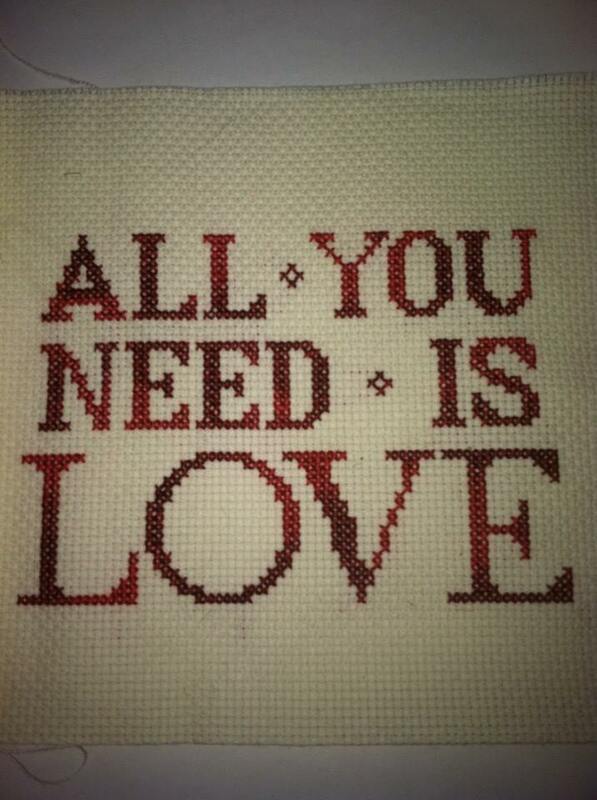 All You Need is Love in Ribbon Red by Crescent Colours. 3. All You Need is Love in Cardinal from the Waterlilies collection by Caron. There will be 2. 4. All You Need is Love in Ruby Slippers by Crescent Colours. Okay, I promised in December to teach you all how to the ruffle finishing technique that I used for Happy New Year by Lizzie Kate. Valentine’s Day is a few weeks away which is the perfect time to walk you through a small Valentine project you can make for your special someone. However, there are a few notices that I need to announce first from my local needlework shop, Embroidery Central; fondly know as EC by clients. I will be posting their contact information on a new page called Dealers. 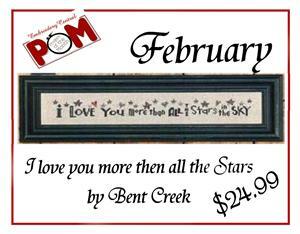 First, The EC POM for February 2014 is ‘I Love you more then all the Stars’ by Bent Creek. The price that you see on the image is the price that the POM will be available for in February; currently it is $30.26. The kit includes the pattern, White Opalescent 28 Count Lugana, and a Pack of Piecemaker Tapestry Needles. This POM is quick and easy, it can be completed in a month. They only order a certain amount of the POM patterns so if you want one, call ahead before you go to the store. Second, the bobbin lace class at Embroidery Central has been moved to Wednesdays at 4 pm. This means you can show up for the bobbin lace class and then stay for the Sit n’ Stitch group. I know that they are planning to start kids’ classes but I am not positive of dates or times as of yet. As soon as I know, I will get it posted. 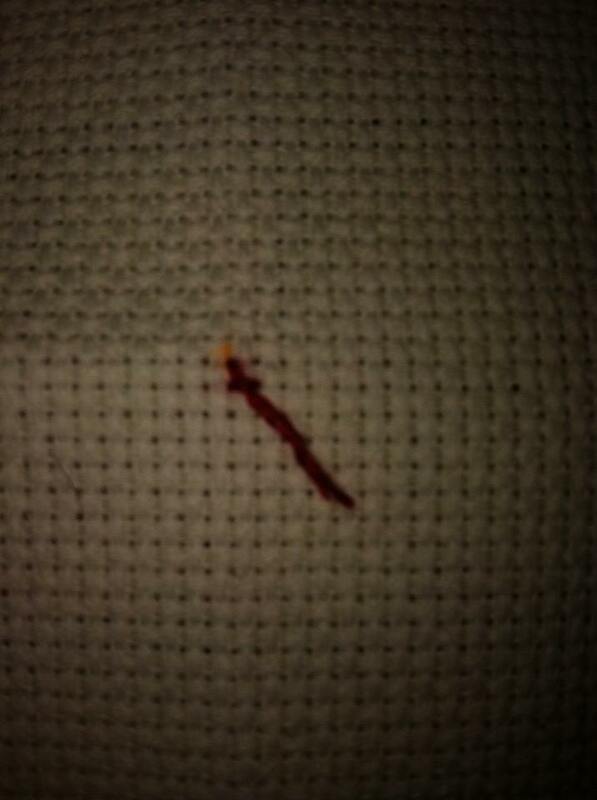 If your local needlework has something fun going on, email me at rayvenire@gmail.com and I will get it posted. Now on to the valentine Project that I promised. I choose something small, simple, and quick; mainly, because I am making 6 of these. 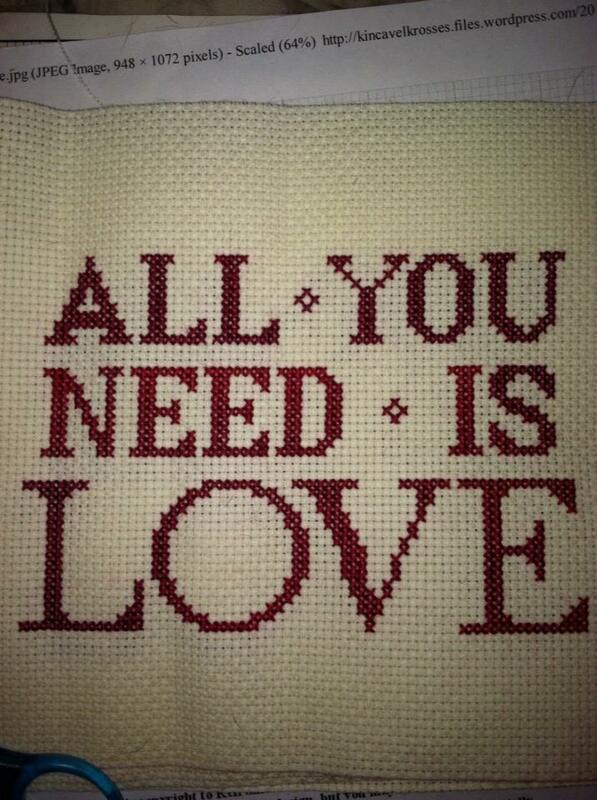 The pattern is called ‘All You Need is Love’ and is designed by Kell Smurthwaite and Kincavel Krosses. Keep in mind that this pattern is free because the designer and the publisher choose to share it. You may not copy or make a kit then sell this pattern. This pattern is all one color so for this tutorial I choose to do my project on a scrap of Aida that I had laying around. I think it is 6 x 9 inches. 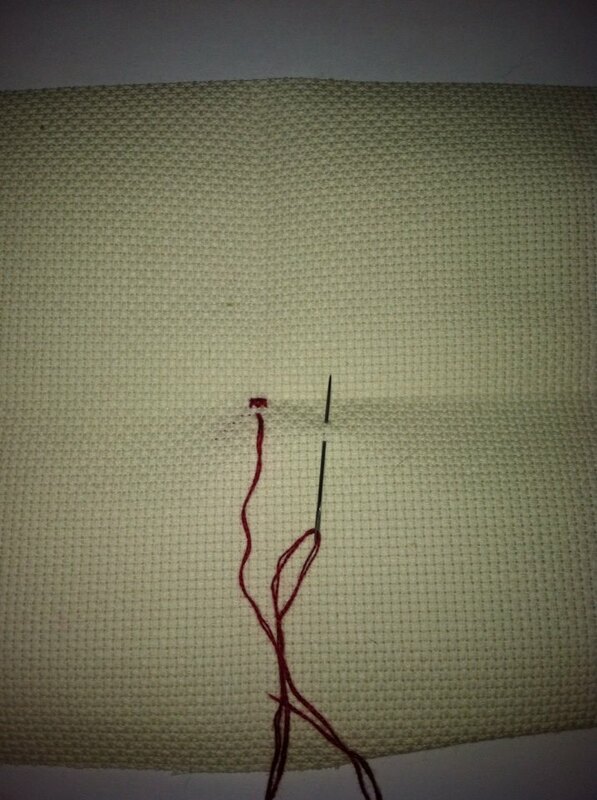 The thread I choose is a hand dyed silk called 219 Cardinal in the Waterlilies collection by Caron. You can choose what ever fabric or thread you want to use. Now find the middle of your fabric. I fold my fabric in half and then fold it in half again like so it looks like this. While it is folded like this, I use either a highlighter or a a frixion pen to mark the center. 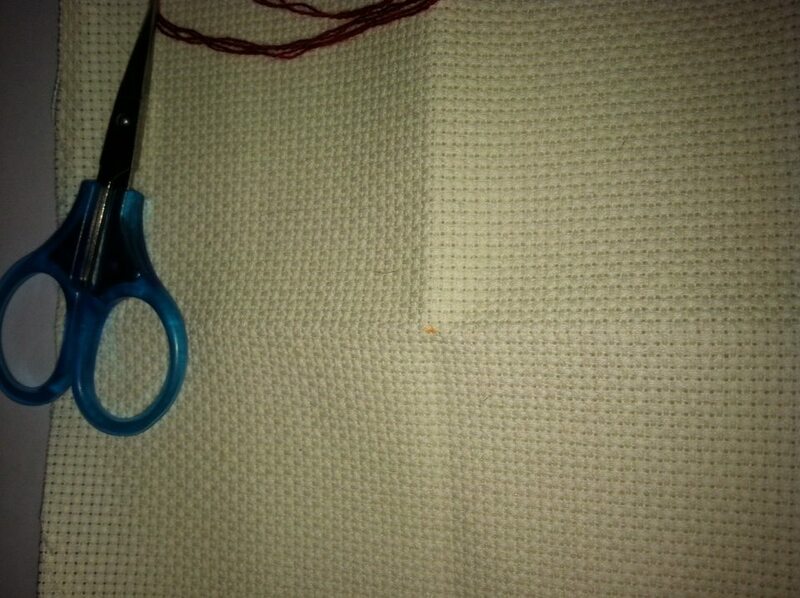 When the fabric is unfolded, you should be able to see your mark. This mark will be visible if you use a highlighter so this will actually be the back of my piece. Remember, if you are using hand dyed thread of any kind, you can not get your project wet; the color will bleed onto the fabric and ruin it. If you use a frixion pen, it does not matter what side the mark is on because the mark will disappear when you iron your project. If you decide to use DMC, then no worries because you can wash your project. 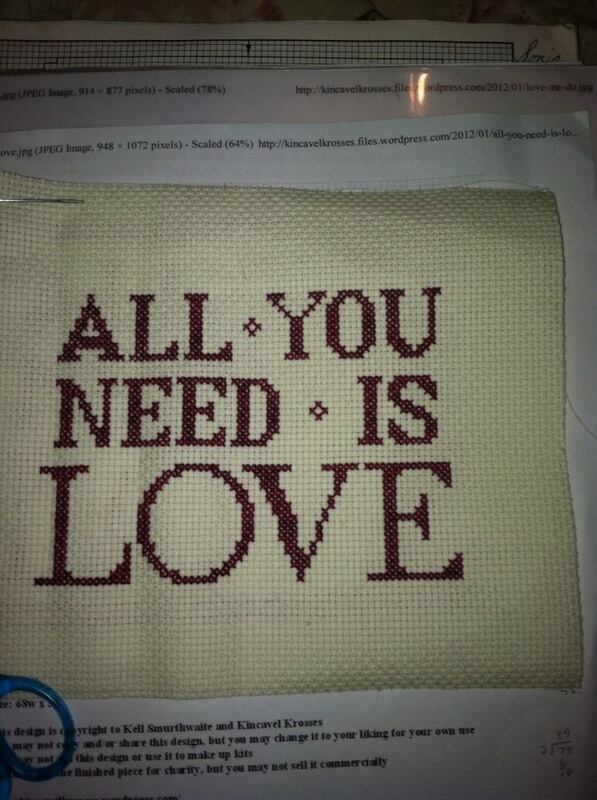 Here is what the project should look like with two fully finished stitches. Just follow the pattern and Happy Stitching! The needlework shop, Embroidery Central, that I get most of my supplies from does an angel tree. The angel tree is covered with ornaments that are made and donated from various stitchers who frequent their store. The angel tree is then taken to a local craft festival, known as November Fest, in Logan, Utah where the ornaments are sold. The money that the shop makes they give to a local charity such as Toys for Tots or Sub for Santa to help buy toys for underprivileged kids. This is a very special tree to me. My parents for a long time relied on programs like this to get my siblings and I Christmas presents. My husband and I also had to use programs such as this when our kids were little. My family always tries to help out with these two programs, however, the money isn’t always there to buy a toy. The angel tree gives me a way to donate what I already have in the hopes that someone will purchase an ornament. I realize it’s only January so it is a little early to talking about Christmas ornaments but it is my goal to do two ornaments a month. 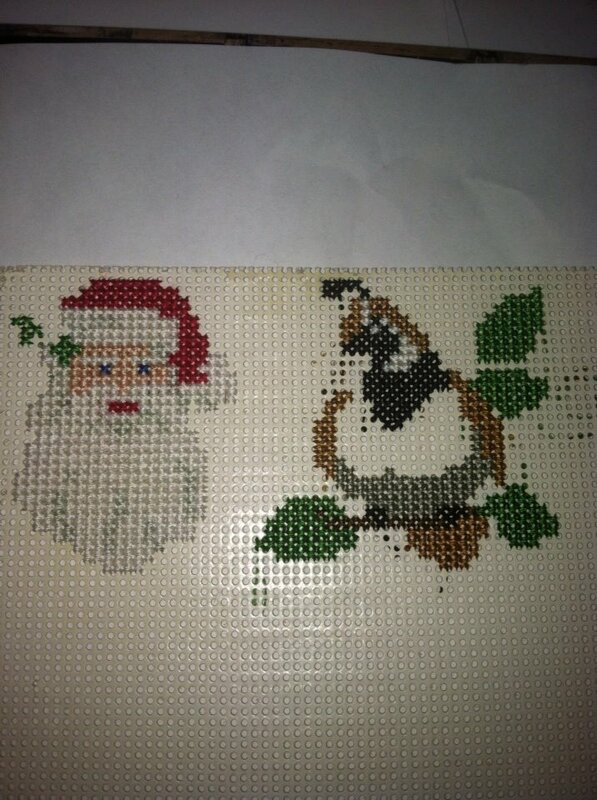 For January, I choose to do a Santa Claus and a Partridge from Merry Christmas ABC published by Leisure Arts. The name of the design is W is for Wreaths and it is designed by Jorja Hernadez of Kooler Design Studio. They are done on perforated paper that was given to me via my mother. As you can see they are not finished quite yet. 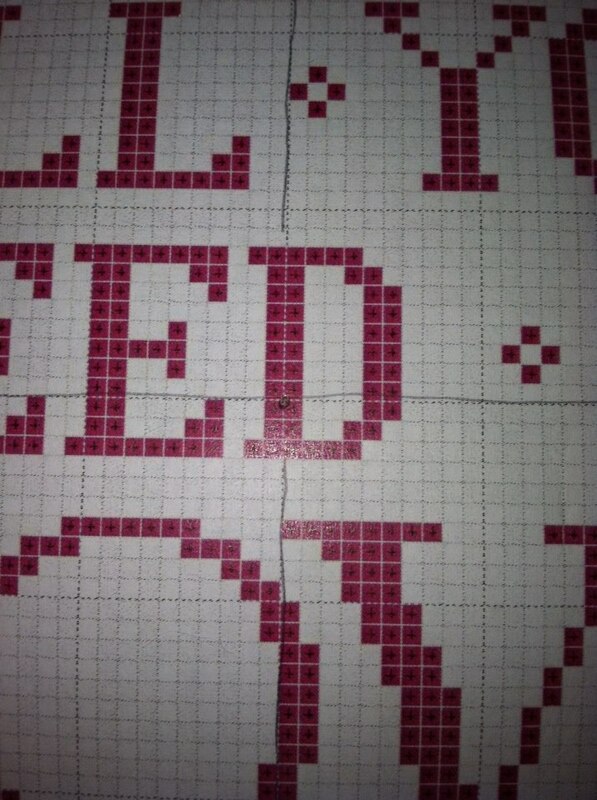 I am missing two threads and beads to finish the stitching. Once they are finished, I will use a hot glue gun to glue a ribbon on the back so they can hang from a Christmas tree. They will be given to Embroidery Central as soon as they are complete.